Today, since it was a rainy day and I also had to refresh for the hill climb from Shimogo to Kashi Tunnel tomorrow, bike tour was suspended. I hung around Aizutajima town area. This refresh day had been already incorporated into my original plan. 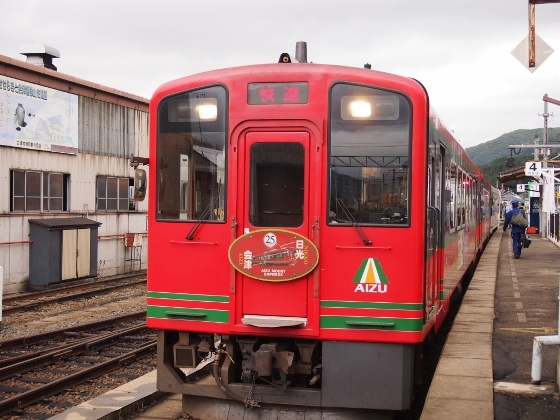 I took a train of Aizu Railway and Yagan Railway from the Aizutajima Station. The picture shows the train. 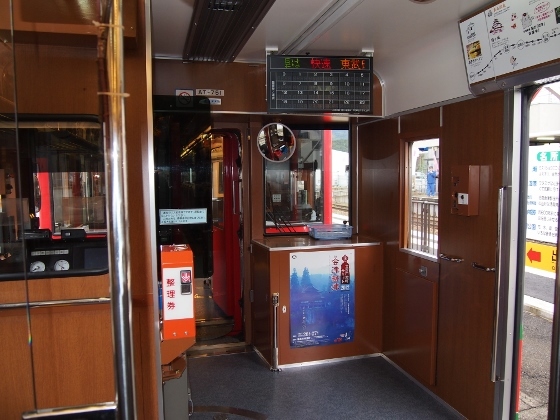 They call Aizu Railway on the Fukushima Pref. side and Yagan Railway on the Tochigi Pref. side. However, the train was the same without transfer. The second picture shows inside the train and I could find the space for bike pack. The train I took was called Aizu Mount Express which had comfortable reclining sheets like limited express but with usual fare. 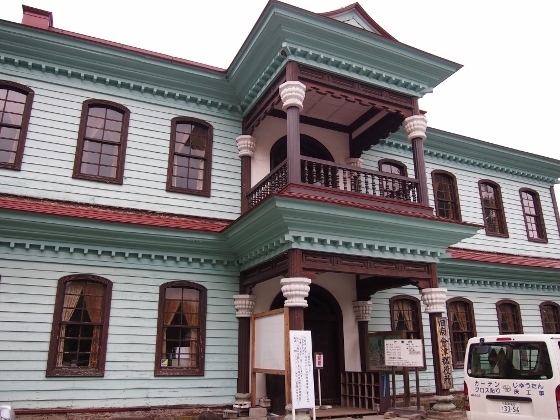 I found the old Minami-Aizu County Office shown in the picture above near my inn. The inside tour was now being suspended until the beginning of the next year.